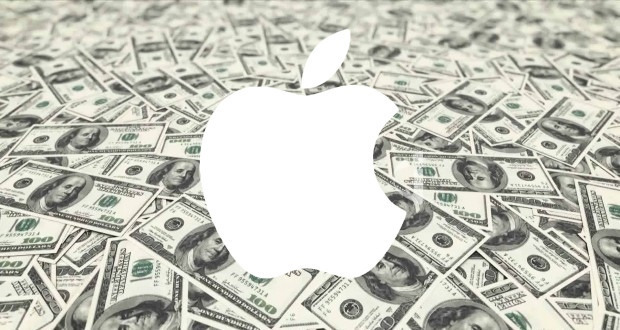 How Much Cash Does Apple Really Have? Apple revealed a plan Wednesday that would make it the first major company to repatriate money from overseas as a result of the new corporate-friendly tax law passed last month. But how much cash does Apple really have? “To the nearest million, as of the end of September 2017, Apple’s cash and investments totaled $268,895,000,000 USD,” reads a new report from Asymco‘s Horace Dedui. This number includes investments in the form of short- and long-term marketable securities. Generally, corporations such as Apple tend to not keep too much cash on their books. Apple’s, however, adds up to about 30% of it market capitalization. One reason behind this staggering number is the fact that Apple has taken out many loans, amounting to about $100 billion USD. Apple is holding it for them but if it has more than it needs it’s obligated to return it. You see, If you were to look for “cash” in financial statements you find it on the balance sheet as an asset. Since it is growing and since a balance sheet has to balance, there has to be a liability that grows in proportion to offset the cash asset. That liability is called Shareholder’s Equity. This is a “debt” the company has to shareholders. If it pays out cash to shareholders then it zeros out an asset and a corresponding liability. The net is zero as far as Apple is concerned but shareholders get something in return for giving Apple money in the first place. Basically, Apple is taking out these loans to pay its shareholders while avoiding using its money it has outside the United States. Since the U.S. has a “repatriation tax” that is levied on money coming into the country, Apple had to borrow money to pay shareholders money they had outside the country. The payments are called “dividends” and shareholders must treat them as income–a form of double taxation because these funds are after the company paid earnings tax and possibly repatriation tax. Apple does pay dividends regularly but because of tax inefficiency (i.e. because government policy discourages dividends) the company mainly buys its own shares and retires them. The company considers its mission to be very narrow: add value in specific areas where they can create tremendous value uniquely and under conditions (technologies and business models) they can control. Many such projects don’t require capital. Manufacturing, data centers and Apple stores require capital but R&D and sales not so much. Creating products is very cash efficient. For example, the iPhone–the most successful product of all time–cost almost nothing to develop; certainly nothing that required Apple to dip into its cash. Funding for the type of product development Apple does comes from existing cash flows and mostly consists of salaries for their employees. As individuals we think that having lots of cash makes us rich. For companies it’s the opposite. Cash is a liability. If you come across a company that is cash rich and has nothing else, its enterprise value will be zero. Companies are valued on their future cash flows, meaning their ability to generate cash, not how much they managed to keep. 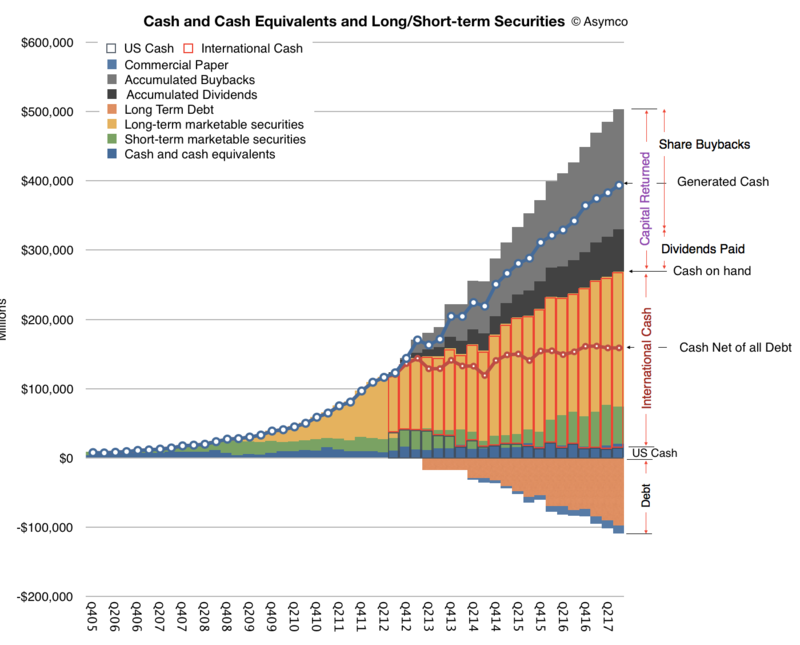 In other words, cash is a measure of past success and investors are interested only in future value. That future value comes from the intelligent allocation of resources toward a valuable goal. A company rich in cash but poor in vision is likely to be taken private or broken up and shut down. Cash is an IOU to shareholders with a thank-you note for the support through the years.